Yes, these people live among you. But what do you expect? It's New Orleans, where Wiz correspondent Greg Laughlin spent his Saturday while taking in the Connecticut-Tulane game at Yulman Stadium, the new home of the Green Wave. Tulane prevailed, 12-3, behind quarterback Nick Montana. If that name sounds familiar, it is. Nick is the son of NFL Hall of Famer Joe Montana, who we are told was in attendance. Boise State's trip to play Connecticut in Hartford, Conn., on Saturday was the farthest east the Broncos had ever ventured. Wiz correspondent Greg Laughlin was among the 30,098 at Rentschler Field to watch the Boise State stop the Huskies, 38-21. The win snapped the Broncos' three-game road losing streak. Having a great defense keeps a team in nearly every game. Connecticut has that going for it. The offense? It has missing in action under Paul Pasqualoni, whose two seasons have resulted in back-to-back 5-7 records. 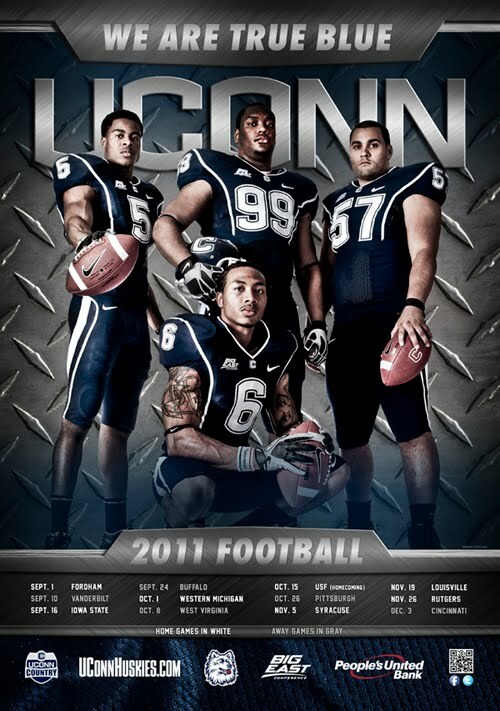 The Huskies were 9th nationally in total defense in 2012 and 19th in scoring defense. They were 110th in total offense and 118th in scoring offense. Four of last season's losses were by a combined 19 points. A touchdown here or there would have put Connecticut in postseason play. The defense is expected to be the strength of the team again this fall. Let's see if the Huskies can get it cranked up on the offensive side of the ball. Connecticut welcomed Massachusetts to the Division I-A game with a resounding 37-0 victory at Rentschler Field. Next is a matchup against North Carolina State. Thanks to Joshua at Collegiate Stadiums. Wiz correspondent Greg Laughlin made his way to Rentschler Field in East Hartford, Conn., Friday night for the matchup between Iowa State and Connecticut. The Cyclones stumbled early before rallying for a 24-20 victory over the reigning Big East champions. Big changes at Connecticut since January's Fiesta Bowl, starting at the top where Randy Edsall left for the coaching job at Maryland. Enter Paul Pasqualoni, who was Syracuse's coach from 1991-2004. There is considerable talent returning and the Huskies have four Big East home games, but the three league road games are against West Virginia, Pittsburgh and Cincinnati, top-end teams in the Big East. Click the image to enlarge. Thanks to Phil.